Rhinoplasty, or nose reshaping surgery, was among the first cosmetic surgery procedures developed and remains one of the most frequently performed procedures today. It is tremendously beneficial for individuals that are unhappy with the size and shape of their nose. Rhinoplasty corrects deformities of the nose by removing, rearranging or reshaping bone or cartilage. Rhinoplasty is the plastic surgery procedure that demands the most artistic sculptural skills. 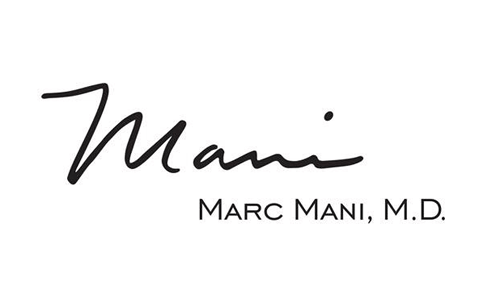 Beverly Hills plastic surgery expert Dr. Mani is renowned for his natural-appearing rhinoplasty results, which are tailored to the individual patient’s facial shape and goals. His experience, skill and approach to rhinoplasty are virtually unmatched. You might be a candidate for rhinoplasty if your nose growth has stabilized, you are in good physical and psychological health, do not smoke and understand the risks and possible outcomes of the surgery. This information will be discussed with you during your rhinoplasty consultation with Dr. Mani. At your rhinoplasty consultation, Dr. Mani will conduct a thorough medical history to evaluate your health status, as well as a physical examination of your nose. He will ask you to describe what you don’t like about your nose, and what you would like your nose to look like. After determining that you are a suitable candidate for surgery, he will explain what rhinoplasty can and cannot accomplish, and he will help you set realistic goals of surgery. Dr. Mani will use digital photography and computer imaging to show you a preview of what your nose will look like after surgery. Once you’ve set a date for surgery, you will receive a packet of information with instructions on how to prepare, possibly prescriptions for antibiotics (to prevent infection) and guidelines of what to expect on the day of surgery and afterward. These instructions may include eliminating certain drugs containing aspirin, in order to minimize the possibility of excess bleeding. You are encouraged to ask any questions you have in order to feel adequately prepared for your surgical experience. Rhinoplasty is performed on an outpatient basis at our accredited surgical facility. Typically, general anesthesia is used for complete patient comfort. Dr. Mani performs rhinoplasty using either the open or closed approach. In an open rhinoplasty, he places the incisions across the tissue separating the nostrils (called the columella). In a closed rhinoplasty, the incisions are placed inside the nose. He will discuss the advantages of both options with you during consultation and explain the approach he feels is better suited to your case. Open rhinoplasty may leave a very faint scar on the strip of skin separating the nostrils; closed rhinoplasty will not leave any scarring. Through the incisions, Dr. Mani will gently separate the nasal skin from the underlying bone and cartilage structures, and make the necessary surgical modifications. Depending on the case, he could reshape the bone and cartilage, smooth a bump on the bridge of the nose, refine the nasal tip, modify the nostrils or otherwise improve the nasal appearance. Then, he will re-drape the skin over the nose, close the incisions with sutures and place a lightweight splint in the nose to support its new shape. After rhinoplasty, you will have some bruising and discoloration. Your nose will be swollen and stuffy, especially if Dr. Mani has worked on your nasal septum. These symptoms are temporary and will subside over time. Any post-operative pain can be controlled with prescription medication. In the beginning of your recovery, you will need to get plenty of rest and avoid any activity that could result in sudden or unwanted contact with your nose (including exercise). Most rhinoplasty patients resume their normal activities within a week or two. You will attend several follow-up appointments with Dr. Mani, during which he will remove your nasal splint, examine your healing nose and advise you as to when you can return to work, exercise and your normal activities. Though you will see results immediately after surgery, it usually takes months or even a year for the final outcome to become apparent. This is because it takes a long time for nasal swelling to fully subside. 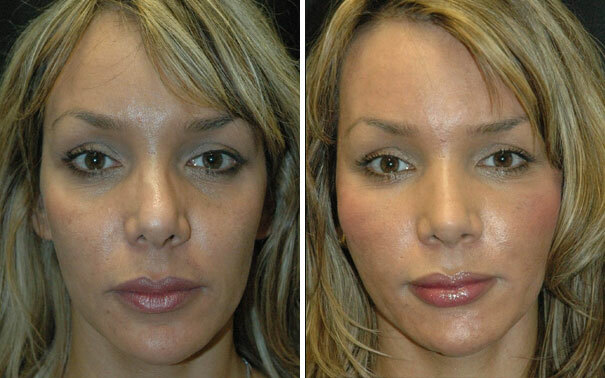 After rhinoplasty, your nose will look more proportional to the rest of your facial features. Your face will have a better sense of balance and harmony. If you had breathing problems prior to surgery, you will be able to breathe and sleep better after surgery. To learn more about rhinoplasty surgery, please contact Dr. Mani’s office and schedule a consultation. Call (310) 203-0511 or send us an email today.